It should come as no great surprise to anyone that one’s level of physical activity is not necessarily linked, on its own, to one’s risk for diagnosis with prostate cancer. A newly published study by Benke et al. in Annals of Oncology reports on a meta-analysis of data from 48 cohort studies and 24 case-control studies encompassing a total of 151,748 cases of men with prostate cancer with an average (mean) age of 61 years at baseline. The relative risk (RR) for total incidence of prostate cancer was 0.99. 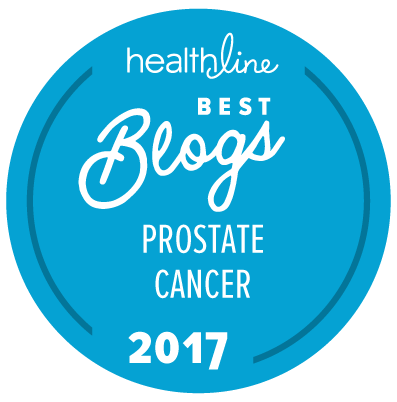 The relative risk for diagnosis with advanced prostate cancer was 0.92. The relative risk for diagnosis with non-advanced prostate cancer was 0.95. Recreational activity was inversely related to advanced/aggressive prostate cancer (RR = 0.75, again based on jsut two of the studies). Physical activity after prostate cancer diagnosis was related to reduced risk of prostate cancer mortality among survivors of prostate cancer (RR = 0.69, based on data from just four of the studies). Whether [physical activity] protects against [prostate cancer] remains elusive. Further investigation taking into account the complex clinical and pathologic nature of [prostate cancer] is needed to clarify the [physical activity] and [prostate cancer] incidence relation. The “New” Prostate Cancer InfoLink would note that risk for diagnosis with prostate cancer has been associated with a broad spectrum of factors that is known to include genetics, heredity, race, diet, environment, annual levels of sunlight, obesity, smoking, and others. Consequently, the idea that exercise alone would be likely to have significant impact on risk for prostate cancer is questionable, whereas combinations of exercise levels with other factors might actually be significant. For example, it might be more relevant to ask whether African American men who are not obese or overweight and who do exercise regularly have a significantly lower risk for prostate cancer diagnosis than African American men are overweight and don’t exercise regularly. However, such studies are hard to carry out prospectively over time unless there is a serious long-term commitment by the research team (and the necessary funding to support a study that might take 20 to 30 years to complete).